I will exhibit 16 of my photos of Norwegian metal bands in connection with the Inferno festival in Lausanne Switzerland, March 8-10th. The festival is held at Les Docks, and the pictures will be exhibited at the same venue. All the pictures will be offered for sale. 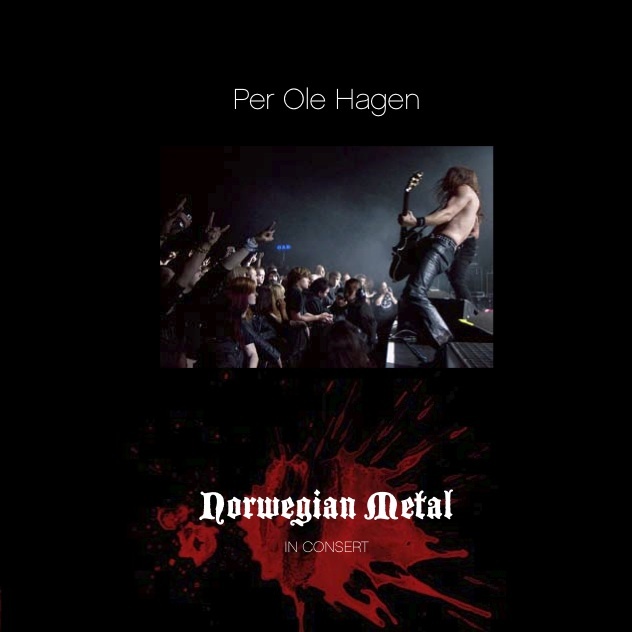 For the exhibition, the visitors can also buy the catalogue for the exhibition, “Norwegian Metal – in Concert”, which will be offered for sale at the same place. The catalogue (check the picture of the front page) contains 60 photos of Norwegian metal bands, plus two articles. Anders Odden has written about the phenomenon of the rise of the genre Norwegian metal, while renowned American concert photgrapher Todd Owyoung has written an article about the photos and the photographer. If you are attending the festival, you can also book a special tour to see the Giger Museum and the exhibition at the festival venue. This entry was posted in Concert, Festival and tagged festival, Inferno, Lausanne, music, Norwegian Metal, photography by Per Ole Hagen. Bookmark the permalink.